WAEC GCE Result 2019 is Out Online. WASSCE Results for Internal Candidates 2019 have been released by the Head of National Office, WAECNIGERIA. Kindly follow the guidelines and procedure below to check the 2019 results successfully. 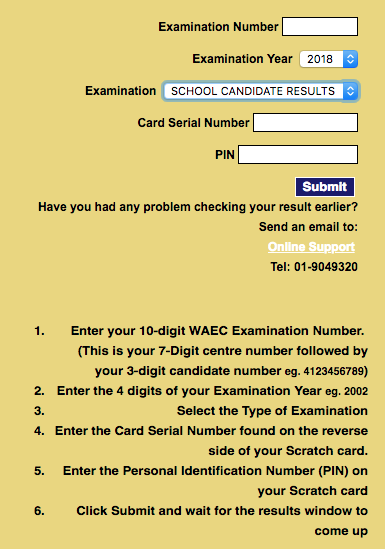 This is to inform all the candidates that participated in the 2019 West African Examinations Council (WAEC) May/June West African Senior School Certificate Examination (WASSCE) that they can now check their results online.